Founded in 1866, R.F. 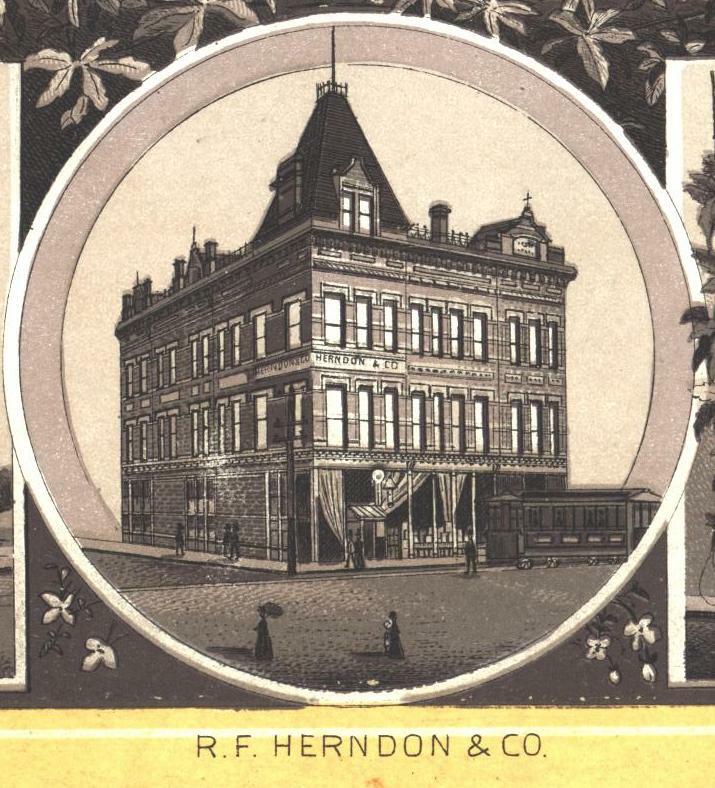 Herndon & Co. sold dry goods and women’s and children’s clothing, specializing for many years in gloves. Herndon’s was on Fifth Street until 1964, when it moved to 206 S. Sixth St. A Herndon’s opened in Town & Country Shopping Center in 1960, followed by a third outlet when White Oaks Mall opened in 1977. The Town & Country store and then the downtown store closed in 1978. Herndon’s continued to operate at White Oaks until May 1997. “It’s the end of the string,” John Herndon Jr., third generation of the family to own Herndon’s, said in announcing the closure. Note: This entry has been corrected and expanded. Thanks to Doug Mayol for pointing out our error. This entry was posted in Business, Department stores and tagged Town & Country. Bookmark the permalink. 5 Responses to Herndon & Co. I have the full set of 4 of The Little Classics Series give out by R. F. Herndon & Co. Spfld, Il and was wondering if they r of any value? Ms. Koch: We get a lot of questions about the value of different pieces of Springfield memorabilia, and I’m afraid I just don’t have answers for those. I hope perhaps another reader will have some ideas. But now you’ve piqued my interest. What was the Little Classics series? I would like to inquire about the full set of The Little Classisc series. I believe Herndon’s opened in White Oaks around 1976, not Town and Country. They were in Town and Country in the 1960s. Doug: As you can see, I re-researched this entry, and that wasn’t the only error. I’m going to have to review several other entries that were covered in my original source, a folder in the Sangamon Valley Collection. Thanks for the heads-up.